Cricket Wireless might not be top of mind among US carriers, but it's starting to get aggressive as it goes after T-Mobile and MetroPCS customers. 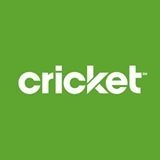 After introducing a $100 bill credit promotion last month, Cricket is now boosting data caps by up to 100% later this week. And what's better, existing customers get the increased caps too. The cheapest plan on Cricket is usually 500MB, but as of September 13th, it will be 1GB. The middle plan isn't changing much, increasing from 2.5GB to 3GB. 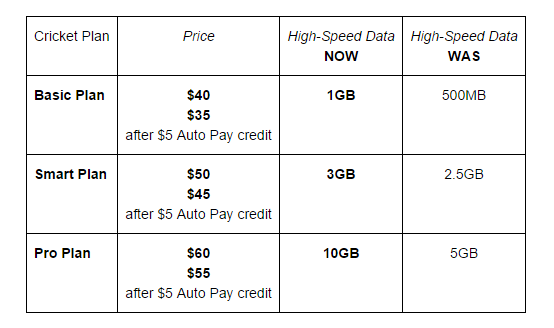 Cricket's high-end plan goes up from 5GB to 10GB, which is a lot of mobile data for most people. New customers will be offered these plans on September 13th, but existing lines will be upgraded automatically at the beginning of the next billing cycle. Cricket also points out this is a limited time offer, but neglects to say just how limited. T-Mobile and Sprint are both offering temporary price reduction deals that expire in a year or so. Cricket is probably playing it by ear for now.